Now get legendary Phoroptor operation and construction with lighted dials to make it easier and more efficient to perform refractions in the darkened setting of the exam room. Put away your pen light and leave the lights off throughout the entire process. The Illuminated Phoroptor features lighted sphere, cylinder power and cylinder axis scales that are easier than ever to see. The Illuminated Phoroptor utilizes cool-running, energy efficient LEDs that light only what you need to see without affecting the darkened refracting environment. The patented LED design results in maintenance-free illumination without the need to ever change a bulb. The Phoroptor® is acknowledged worldwide as the finest available. It is designed and constructed to provide a lifetime of reliable service and it incorporates refinements that result from Reichert's nearly 80 years of experience in the refractor business. Purchase the instrument to which all other refractors, manual and automatic, are compared. 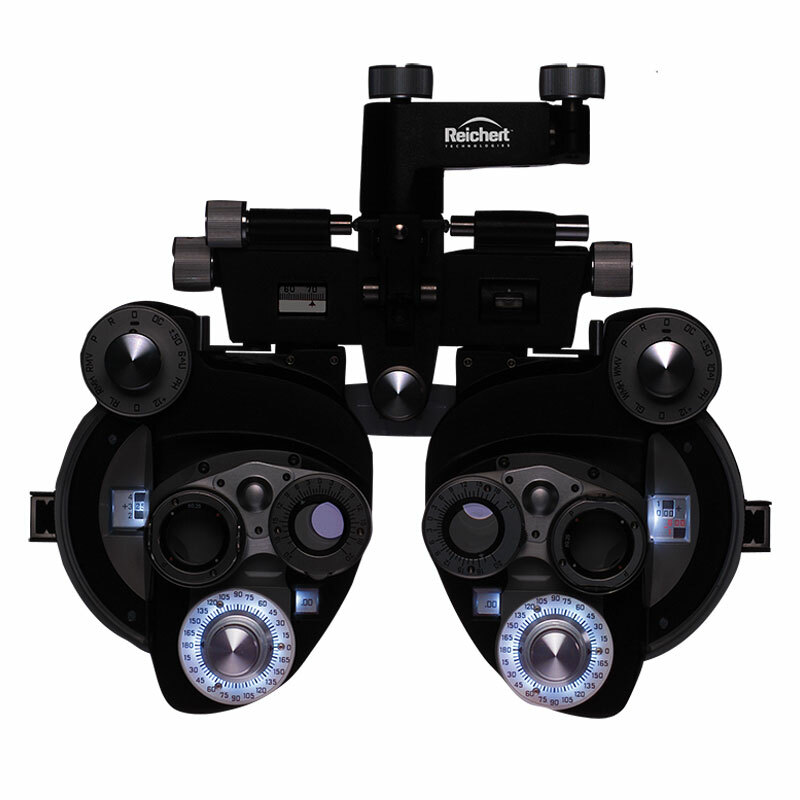 The Reichert Phoroptor® is the first and always the best - now with LED illuminated dials. Precision contact tonometry for tower-style slit lamp. Superior optics, exceptional clarity and detail in a compact design. Superior optics, exceptional clarity and detail in a traditional design.